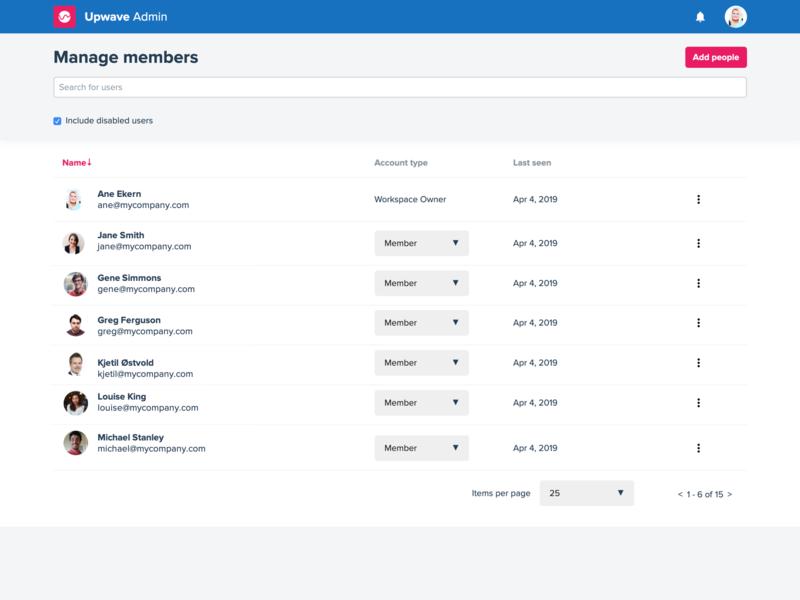 In Upwave, the Workspace members consist of an Admins and regular members (read more on permissions), one of the Admins will also be the Owner. To see an overview of all members, click on "Users". All Workspace members that has confirmed their account and are not disabled will count as an active account which makes up the foundation of our pricing mechanism. More information about subscription and pricing can be found here. Any user account (except the Owner), can be disabled to prevent them from accessing the Workspace. A disabled user account will not receive any system emails and will be hidden from view in Boards and Cards. A disabled user will not count when calculating the subscription price. To disable a user, click on the three dots, and choose "disable user".